At Aztec Interiors, we understand that your kitchen is the heart of your home. We also know that not everyone has the same thing in mind when they picture their ideal kitchen. 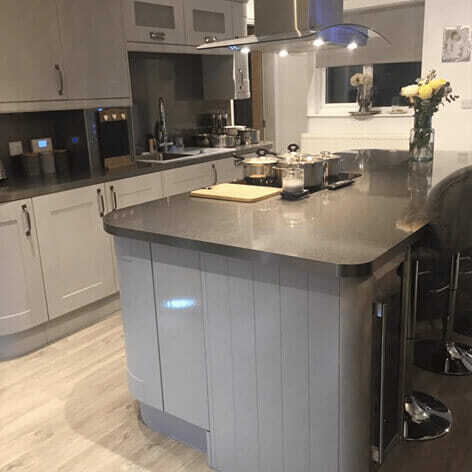 With over 15 years of designing and installing kitchens for clients throughout Newcastle, Country Durham and Northumberland, we have the expertise and the vision to help you to create the perfect kitchen for you and your family. Take the first step towards making your dream kitchen a reality and talk to us about your new kitchen today. Contact Aztec Interiors by telephone on 01207 502 029 (mobile 07940 490 816) or by email on [email protected] to discuss your requirements. 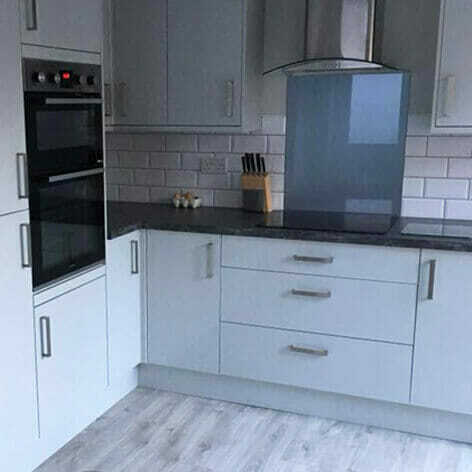 From a simple kitchen refurbishment to a bespoke fitted kitchen design and installation, our kitchen design service means that we can tailor your new kitchen to your specification and budget. 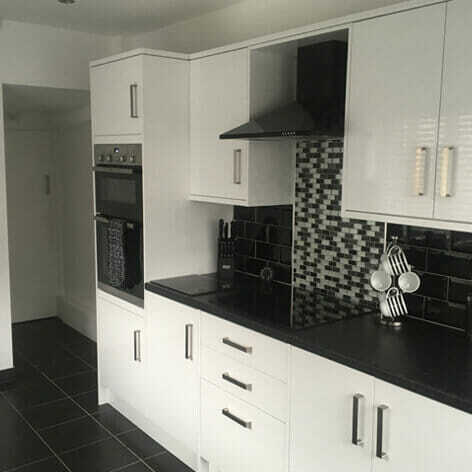 Aztec Interiors provides a one-stop kitchen installation service so you don't have to worry about organising different tradesmen. From plastering to flooring, plumbing to wiring, we ensure that everything is finished to the highest standard. From wall tiles to floor tiles, in ceramic, stone, marble or glass, our experienced tilers pride themselves on providing a high quality service from start to finish. There's more to a kitchen than just fitting kitchen units. 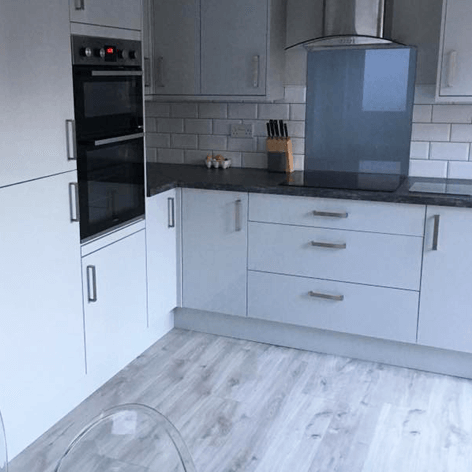 Our kitchen fitting service includes qualified electricians and experienced plasterers to ensure that everything is finished to the highest standard. Aztec Interiors offer a no obligation home consultation service to discuss your kitchen design and installation requirements. 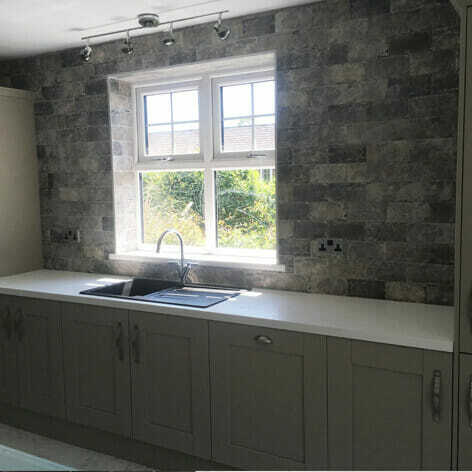 We can tailor your kitchen design to meet your own specification and budget and our team includes experienced and qualified electricians, plasterers and tilers so that you don’t have to worry about organising different tradesmen to fit your kitchen. We undertake a range of kitchen installations from simple refurbishments to bespoke kitchen designs and work with a wide-range of kitchen suppliers, giving you a vast choice of kitchen units, worktops, accessories and appliances. 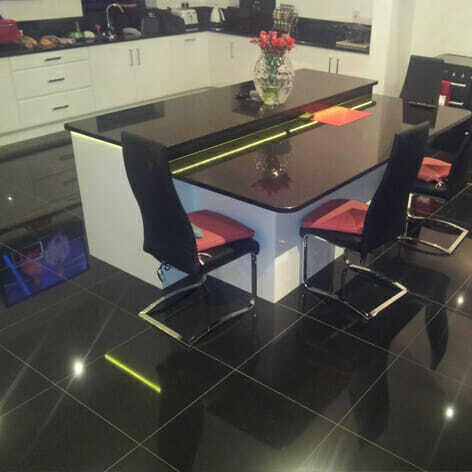 For friendly, impartial advice and a no obligation estimate, contact Aztec Interiors by telephone on 01207 502 029 / 07940 490 816 or by email on [email protected] and make your dream kitchen a reality. Kitchen Makeover & Upgrade of Appliances incl. 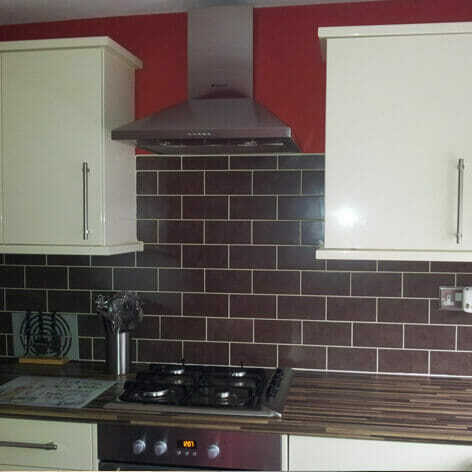 New Work Tops & Tiling. Immaculate work by a dedicated tradesman who was assisted by a very keen and sensible assistant… Each day the whole area plus the hall to front door was cleaned up. Graham Robson and his assistant Reese are real workers who love their job. I have already asked them to take on another job in our house.